Unicorns in literature are fascinating, evocative, mysterious, and elusive, and with The Unicorn Anthology, editors Peter S. Beagle—himself of unicorn fame—and Jacob Weisman invite continued appreciation of the legendary beast, drawing it beyond its familiar medieval framework. A particular standout is Beagle’s own contribution, “My Son Heydari and the Karkadann,” which removes the figure of the unicorn from its typical Western context. Bruce Coville’s “Homeward Bound” enters beautiful metaphysical territory in its final scene. And Jane Yolen’s “The Transfigured Hart,” a hermetically inspired call to see with more than the eye, is a lovely end to the short stories. Nancy Springer’s series of unicorn poetry completes the collection as an effective set of word paintings that tie together, with shimmering thread, all that comes before. 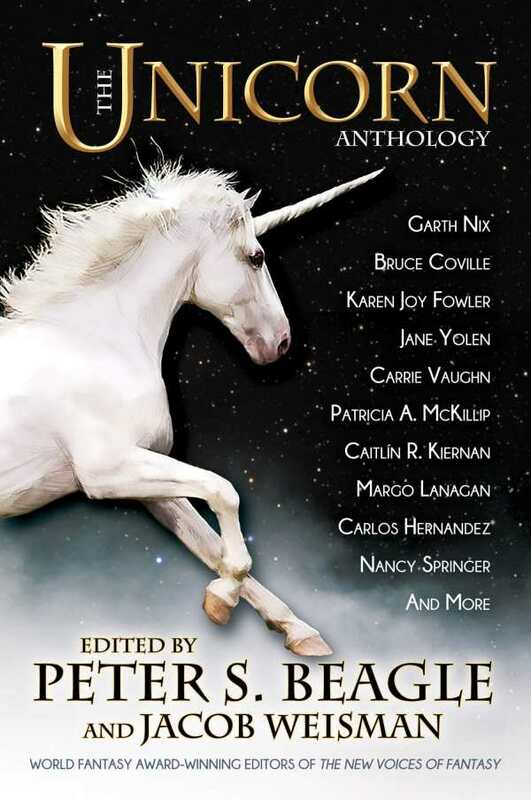 The varied and creative stories of The Unicorn Anthology inspire new ways of engagement with an old legend. Across cultures and times, the mystical essence of this beast continues to haunt the forest of the collective human psyche.